FREE project management tools to track your daily work progress with Trello. FREE project management tools to track your daily work progress with Trello. FREE project management tools to track your daily work progress with Trello. Trello is the online project management tool to manage project activity. With Trello its very easy to track the work progress on daily basis and make easy your project management. There is no other documents like spread sheet or notepad or any other documentation tool required if you use Trello. At a single place you can track each and every person’s work status at the same time in a single view. I am using Trello for a long time and it really helped me to stop switching my mind to the different work progress documents to manage and track the work progress. With help of Trello you can create multiple dash boards to view your comments and updates in a single window. You can add multiple users who also can view your updates and changes. 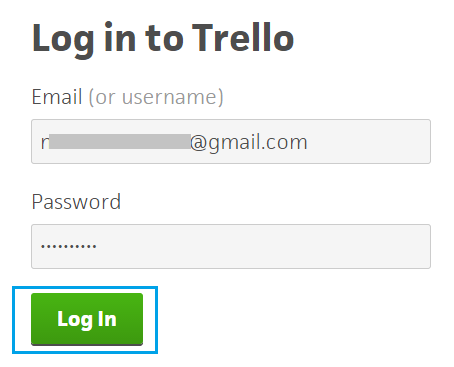 Trello allows you to provide the different admin privileges to the other users. 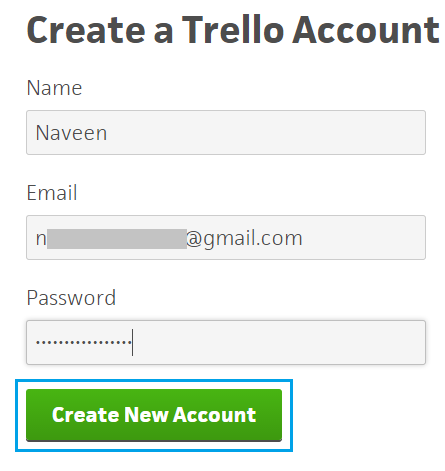 Trello is very simple to use and after following the few steps you will be able to manage and document your work progress and start tracking and managing. 2) Click on Sign Up-It’s Free button. 3) Fill the necessary fields and click on Create New Account. 4) On successful sign up you need to confirm your email address. So just login your email account and confirm the registration. 5) Click on Verify will land the page to log-in page. 6) Enter the email address and password and click on Log In button. 7) After successful log-in, you are ready to manage your project. 8) You can create a new board or you can create a new organization. 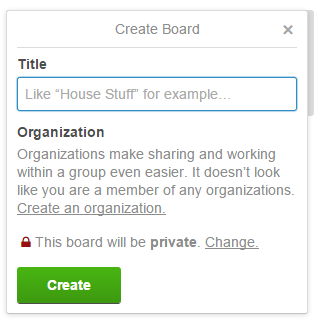 9) Provide the name and then click on Create button and start managing your projects. 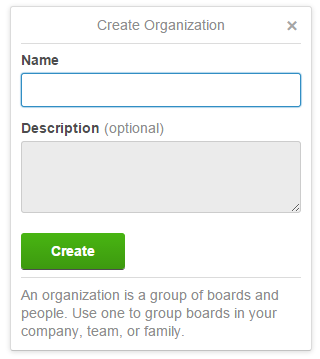 You can create many boards under organization and also you can add different members by clicking on Add Members button. That’s all. Start your project management by adding multiple users and reduce your project management stress with Trello.